Now is time to start planning for upcoming home improvement projects you’d like to finish this year. 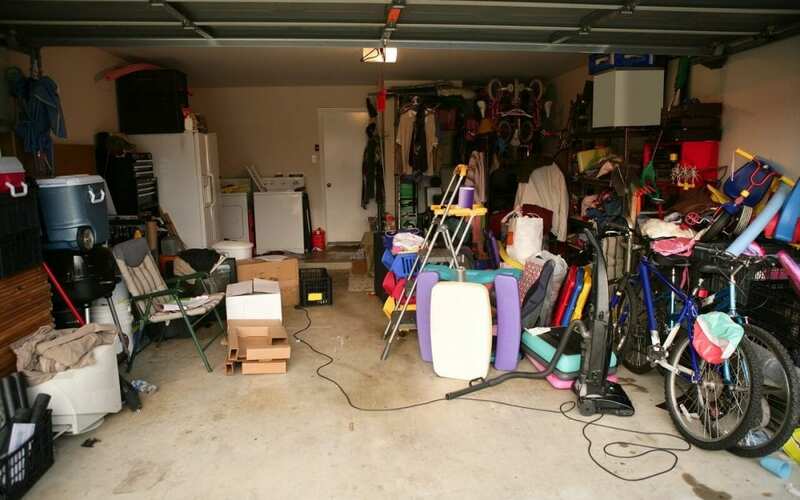 However, before you begin working on any of these home maintenance tasks, it is helpful to first organize your garage. This will make tackling any other projects for your home that much easier. If you’ve gotten used to shoving things into your garage and calling that storage, it’s time to consider how you can use the walls to organize your items. You can set up easy-to-install shelving to make organizing and stacking boxes easier. Also, as you organize your garage, consider putting in basic hook systems so you can easily hang up your tools. These hooks are ready-made for rakes, shovels, and any other landscaping and gardening tools. Though most people don’t consider cabinets for garage storage, they work well for certain things that you don’t want out in the open. Cabinets are an excellent alternative to shelves for items that don’t hang easily. Consider placing liquid items in these cabinets, like paint, wood stain, and paint thinner. These tend to smell once opened even if they are covered. Placing these items in a cabinet will help to cut down on those fumes. Many of us have screws, nails, and other odds and ends just lying around the garage. If you have any old filing cabinets or dressers, these are perfect to use for organizing all of your smaller tools and supplies. Clear plastic drawers are also an inexpensive option that makes it easy to see what’s inside. Place items like screws and nails in a clear container. Then, store these containers flat in the drawer so that you can clearly see what items are in each drawer. As you add other supplies and tools to the drawers, keep similar items in the same drawer. If your garage doubles as a workshop, you might have a big table in the middle of your garage that keeps you from parking a car in the space. By fashioning a table out of a piece of wood and attaching a few hinges, you can create a foldable table that lays flat against your walls when not in use. The same can be done with a workbench. Clear containers are a great way to organize all the miscellaneous things that you store in your garage. From winter clothes to arts and crafts supplies, clear containers make it easy to see what items are in which bin. These clear containers are also easy to stack and make it simple to pile these items away after you’ve sorted through them. Appalachian Inspection Services provides home inspections and services to Western North Carolina. Contact us to schedule an inspection.